Hot dog vendor: "You want one or two?" Buddha: "Make me one with everything." Nilsson: "One is the loneliest number that you'll ever do." Highlander: "There can be only one." Life should not be a journey to the grave with the intention of arriving safely in a pretty and well preserved body, but rather to skid in broadside in a cloud of smoke, thoroughly used up, totally worn out, and loudly proclaiming, "Wow! What a ride!" 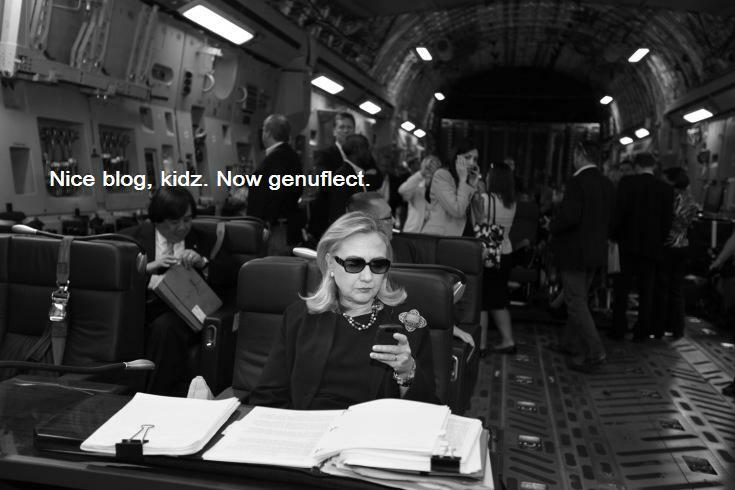 Hillary Clinton kills a perfectly good meme. 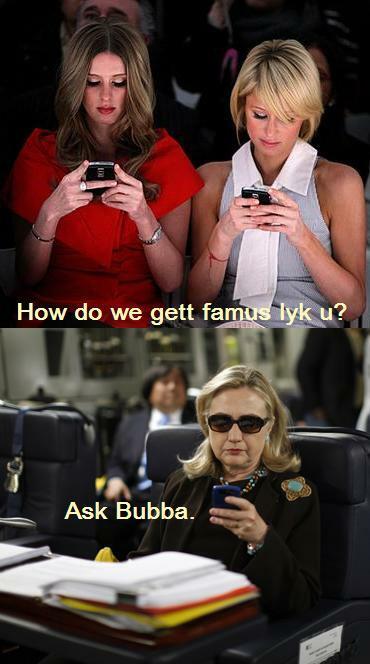 The Hilton sisters text Hillary Clinton. Nicky+Paris Hilton: "How do we gett famus lyk u?" Original images by Bryan Bedder/Getty Images for IMG and Kevin Lamarque for Reuters. Imagine you're tooling down the road when Springsteen begins to sing on the radio. 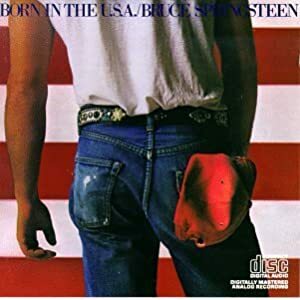 He's belting out his iconic anthem, "Born In The U.S.A."
The music is driving, insistent. Your Budapest-born bride is snapping her fingers, because it's one of her favorite tunes. Then she starts singing a duet with The Boss, in perfect two-part harmony, at the top of her lungs. She only knows the words of the refrain, so she's making up lyrics as she goes along. In a thick Magyar accent.